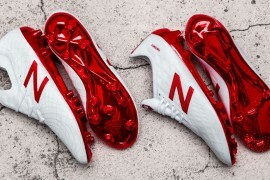 As a major sports brand, getting your audience hyped up for a new boot launch is easy on paper; you’ve got social channels with millions of followers, top PR firms awaiting your new content and a decent budget to produce a flashy video with that will undoubtedly do astronomical numbers on Youtube. 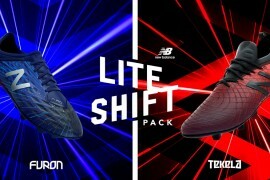 But last night, we caught a glimpse of a new level of agile marketing as Mario Balotelli played out a 2-2 draw at the San Siro against Roma in the boots you see throughout the article. 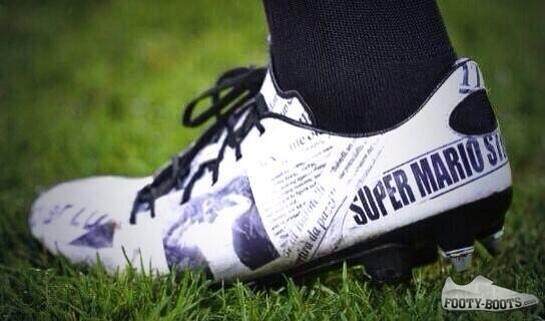 Plastered in ‘headlines’ and newspaper clippings cataloguing the Italian international’s most memorable moments, the boots are vain, self-aggrandising and the typical of what is wrong with modern footballers. Most importantly, we weren’t the only ones. Instagram exploded with over 15,000 ‘likes’ on Mario’s self-posted image, blogs blew up racing to be the first to post the images and this morning national newspapers were covering the story to much wider, less boot-savvy audience. Now, for those unfamiliar with the story so far ; Mario Balotelli has been a long-time Nike athlete, however, at the start of the month the AC Milan star began ‘blacking out’ his boots – a sure sign a player’s contract has come to an end and they’re listening to other offers. It has been a hot topic as to who could entice Balotelli into their boots ahead of a World Cup where he could well shine if the Confederations Cup and European Championships are anything to go by. Some deals like this are ‘open secrets’ where a player is set for a switch, but lengthy legal complications prevent advertising a player’s new sponsor. Balotelli, however, has been the subject of many guesses but not a hint that anyone is correct. Now, with such great focus on this unique pair of boots, Puma have emerged as the likely victors with Balotelli rumoured to be wearing a unique ‘camo’ style version of the new evoPOWER. All in a way that’s completely ‘on brand’ with their last few launches and all without sending out a single press release or otherwise claiming responsibility in any way, shape or form. For the cost of a bespoke pair of boots (that no doubt immediately endeared Mario to Puma), the brand have managed to pull off one of the biggest player signing announcements since Pel' delayed kick-off at the 1970 World Cup Final. Another famous Puma victory. With that in mind, Puma have once again proved that sometimes the best way of announcing something new in the world of sports, is not announcing it at all. might? definite? make up your mind..